A family in Brooklyn, New York, is outraged that a funeral home sent their mother’s ashes through the US Postal Service, which now cannot locate the package. Bertha Mueller’s descendants are suing the Walter B. Cooke Funeral Home for causing the fiasco. At first, the funeral home claimed that the remains were left at the family’s front door with a cleaning lady. But when the family involved their lawyer, the funeral home clammed up and stopped speaking altogether. 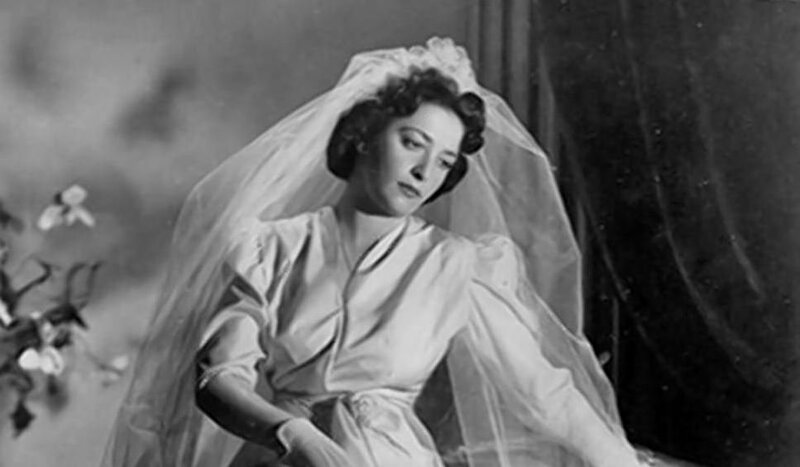 Ms. Mueller, seen in the above photo in her wedding dress, came from Romania and survived the Holocaust in Europe. In 1984, she came to live in New York with her daughter. She loved to go to Broadway plays, and as her daughter recalled fondly, “She was full of life and full of fun.” She passed away at age 92 in February. Somewhere in New York, or who knows where, a box with the cremated remains of Bertha Mueller may be riding around on a Post Office truck.